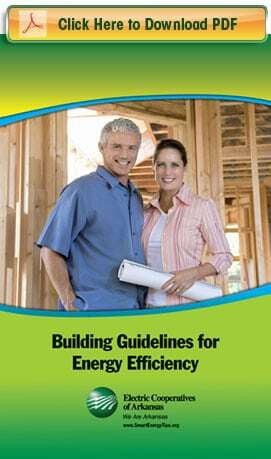 This booklet was written to provide energy efficiency guidelines and measures for builders, sub-contractors and homeowners. Proper installation of these components into a new or existing home will provide energy savings, improve comfort and lower utility bills. When building a new home, it is far more cost effective to incorporate energy efficiency measures during construction than to add them in the future. At the time of this revision, the components and measures within the downloadable booklet meet commonly accepted home energy science building practices suported by numerous industry experts. Watch a series of videos on Building Guidelines here.